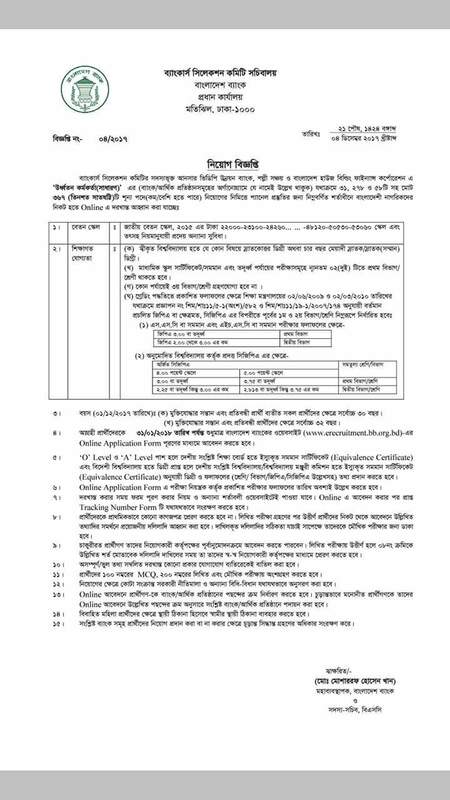 Bangladesh Bank Job Circular for Ansar VDP Unnoyan Bank and Polli Shanchay and House Building Finance Corporation (BHBFC) has been published today on Bangladesh bank official website. See details about the circular below. Circular published date: 4 January, 2018. Application last date: 31 January, 2018.